Our copy of the Resolute Desk is built to meet the exact dimensions and design of the original. All carvings are made by artisans with decades of experience. 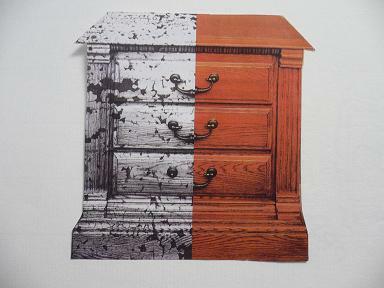 The desk is made of solid Honduras mahogany. Queen Victoria's original Brass Dedication Plaque has been replicated. 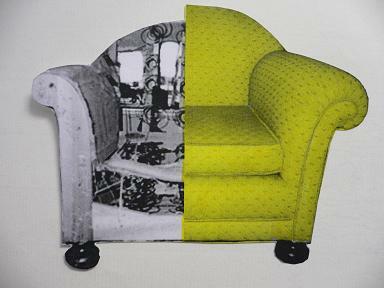 You can either have it facing outwards as President Kennedy did, or inwards facing your chair as it has been used since it was brought back to the White House by President Carter. The Desk’s dimensions are 72” long x 48” wide and 31” high, including an optional 2” high plinth. Per your request we can make shorter - 60" long, version of the desk. 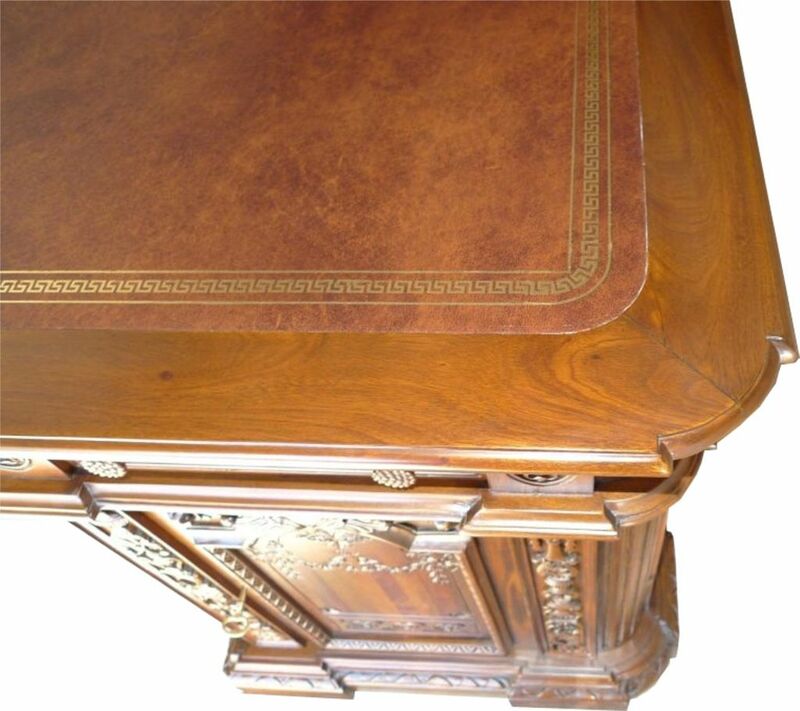 The desk’s top is covered with a single hide of tooled leather in a beautiful antique brown color with golden embossing around the edge. 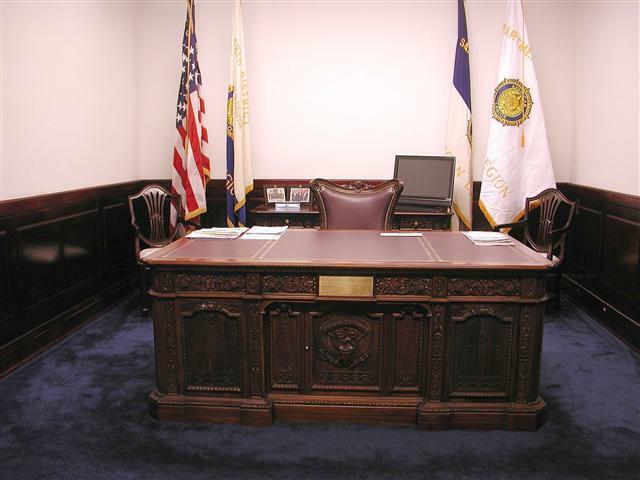 Our replicas of the Resolute Desk can be seen in the Presidential Libraries of Ronald Reagan (click for video) and Richard Nixon, as well as the Jimmy Carter National Historic Site. They can also be seen in Madame Tussaud’s museums in London, New York, Washington, Hollywood, Las Vegas, Vienna, Hong Kong, and Sydney. 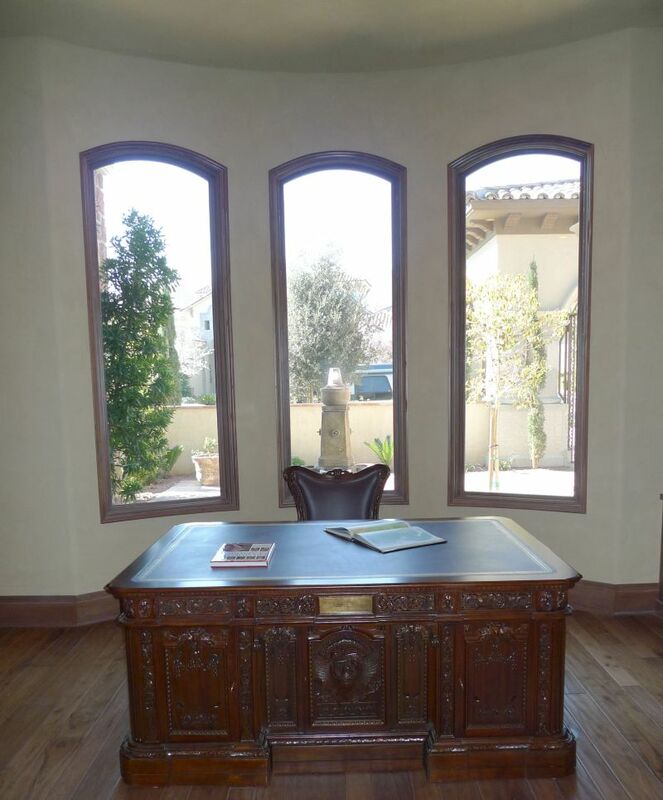 Our replica of the Desk became most popular after its appearance in "National Treasure 2: Book of Secrets" movie, starring Nicolas Cage. It also was used in a few episodes of CBS drama "The Good Wife". 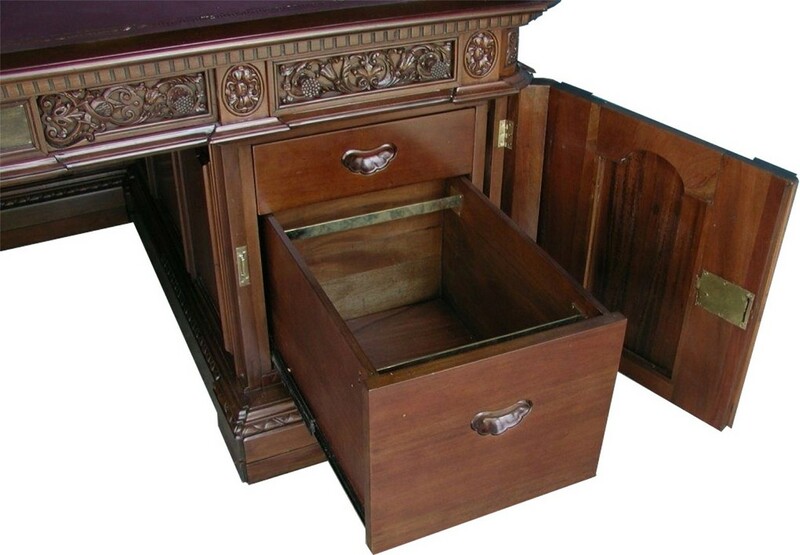 The President's Resolute Desk will certainly decorate your home, library, or office. The Resolute Desk is a large desk often chosen by US presidents for use in the White House Oval Office. It was a gift from Queen Victoria to President Rutherford B. Hayes in 1880 and was built from the timbers of the British Arctic Exploration ship, Resolute. 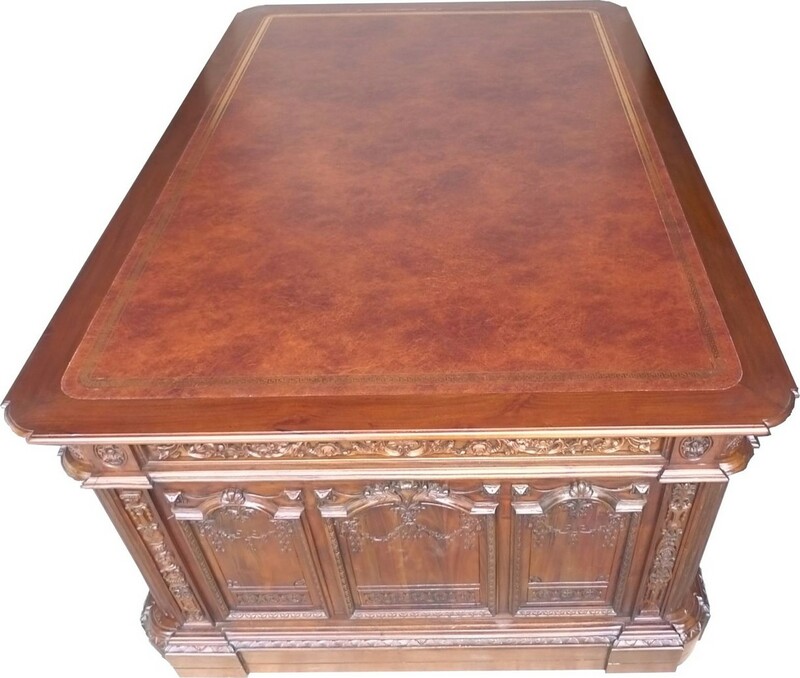 Since 2004, our company has been putting on the market exact replicas of the Resolute Desk and successfully selling them in the US as well as around the world.